Not to be confused with Twickenham Stoop. Twickenham Stadium (/ˈtwɪkənəm/; usually known as Twickenham or Twickers) is a rugby union stadium in Twickenham, south west London, England. Owned by the governing body of rugby union in England, the Rugby Football Union (the RFU), the stadium hosts home test matches for the England national rugby union team. Other rugby union games played at the stadium include the Middlesex Sevens, selected Premiership Rugby fixtures, selected Anglo-Welsh Cup matches, the Varsity Match between the universities of Oxford and Cambridge, and selected European Rugby Champions Cup matches. The RFU headquarters are in the stadium. Twickenham Stadium has also hosted concerts by Rihanna, Iron Maiden, Bryan Adams, Bon Jovi, Genesis, U2, Beyoncé, The Rolling Stones, The Police, Eagles, R.E.M., Eminem, and Lady Gaga, rugby league's Challenge Cup Finals, and conventions of Jehovah's Witnesses, and it has hosted American football as part of the NFL London Games in 2016 and 2017. Twickenham Stadium is the second largest stadium in the U.K., following Wembley Stadium, the fourth largest stadium in Europe, and the largest stadium in the world dedicated to the sport of rugby union. Twickenham is often referred to as the home of rugby union. The stadium, owned and operated by the RFU, hosts rugby union fixtures year round. It is the home of the English rugby union team, who play nearly all their home games at the stadium. Twickenham hosts England's home Six Nations matches, as well as inbound touring teams from the Southern Hemisphere, usually annually around November. Apart from its relationship with the national team, Twickenham is the venue for a number of other domestic and international rugby union matches. It hosts the annual London leg of the World Rugby Sevens Series, the Cup (championship) final and third-place match of the annual London leg of the World Rugby Women's Sevens Series, and the domestic Middlesex Sevens competition. It is also the venue for the Premiership Rugby final as well as the season-opening London Double Header, Big Game and an annual fixture hosted by Bath Rugby. Anglo-Welsh Cup, Heineken Cup and Champions Cup finals have also been held here in the past. The stadium is also host to The Varsity Match between Oxford and Cambridge, the English schools' Daily Mail Cup Final and the Army Navy Match which forms the culmination of the annual Inter-Services Competition. Sold out Tests against New Zealand and South Africa at Crystal Palace saw the RFU realise the benefit of owning their own ground. Committee member William Williams and treasurer William Cail led the way to purchasing a 10.25 acre (4 hectare) market garden in Twickenham in 1907 for £5,500 12s 6d. The first stands were constructed the following year. Before the ground was purchased, it was used to grow cabbages, and so Twickenham Stadium is affectionately known as the Cabbage Patch. 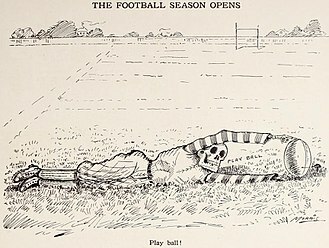 After further expenditure on roads, the first game, between Harlequins v. Richmond, was played on 2 October 1909, and the first international, England v. Wales, on 15 January 1910. At the time of the English-Welsh game, the stadium had a maximum capacity of 20,000 spectators. During World War I the ground was used for cattle, horse and sheep grazing. King George V unveiled a war memorial in 1921. In 1926, the first Middlesex Sevens took place at the ground. 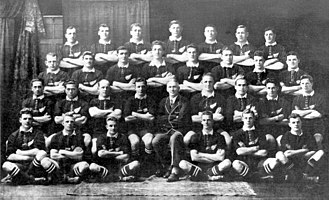 In 1927 the first Varsity Match took place at Twickenham for the first time. On 19 March 1938, BBC Television broadcast the England – Scotland (Calcutta Cup) match from Twickenham, the first time that a rugby match was shown live on television. In 1959, to mark 50 years of the ground, a combined side of England and Wales beat Ireland and Scotland by 26 points to 17. Coming into the last match of the 1988 season, against the Irish, England had lost 15 of their previous 23 matches in the Five Nations Championship. The Twickenham crowd had only seen one solitary England try in the previous two years, and at half-time against Ireland they were 0–3 down. During the second half a remarkable transformation took place and England started playing an expansive game many had doubted they were capable of producing. A 0–3 deficit was turned into a 35–3 win, with England scoring six tries. 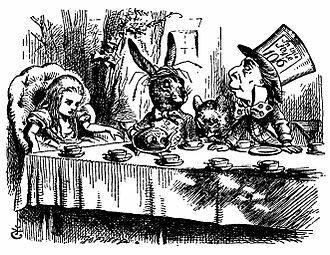 This day also saw the origins of the adoption of the traditional spiritual "Swing Low, Sweet Chariot" as a terrace song. In the 35–3 win against Ireland, three of England's tries were scored by Chris Oti, a black player who had made a reputation for himself that season as a speedster on the left wing. A group of boys from the Benedictine school Douai, following a tradition at their school games, sang "Swing Low, Sweet Chariot" whenever a try was scored. When Oti scored his second try, amused spectators standing close to the boys joined in, and when Oti scored his hat-trick the song was heard around the ground. Since then "Swing Low, Sweet Chariot" has been a song to sing at England home games, in the same way that Fields of Athenry is sung in Dublin and Cwm Rhondda is sung in Cardiff. The United Kingdom, Ireland and France shared the hosting of the 1991 Rugby World Cup. Twickenham was used during pool A England matches. Twickenham was also host of the 1991 Rugby World Cup Final in which Australia beat England 12-6. For this game, England changed their style of play, opting for the sort of running game that had brought them victory against Ireland in the March 1988 game referred to above. During this match, with the English facing a 12-3 deficit, David Campese reached one-handed for a ball thrown to England winger, Rory Underwood. He dropped it and the ball rolled forward, gifting England a penalty that proved to be the last score of the game. Some have claimed that Campese's action should have been interpreted as a deliberate professional foul, with possible disciplinary action against the Australian player. However, on the same ground in November 1988, Campese had intercepted a similar pass and run the length of the field to score a try. Some of the Welsh-hosted 1999 Rugby World Cup games were taken to Twickenham. These included three of England's pool B matches, the second round playoff when England defeated Fiji 45 points to 24, and both semi-finals, none of which England were involved in, having made their exit in the quarter-finals at the hands of South Africa. Under the reign of Clive Woodward, the stadium became known as 'Fortress Twickenham', as England enjoyed a run of 19 unbeaten home matches from October 1999, ending with defeat against Ireland in 2004. The IRB Rugby Aid Match was played on 5 March 2005 under the auspices of the International Rugby Board (IRB) to raise money for the United Nations World Food Programme to support its work aiding victims of the 2004 Indian Ocean tsunami. Representative sides of the Northern and Southern hemispheres played at Twickenham. The final score was Northern Hemisphere 19 – Southern Hemisphere 54. Since the ground was bought by the RFU in 1907, it has gone through a number of redevelopments. In 1921 a stand was built above the northern terrace, with workshops placed underneath. In 1927, there was an extension to the East Stand, bringing the capacity to 12,000. The south terrace was also extended to allow 20,000 spectators. In 1932 a new West Stand was completed, providing offices for the RFU, who made the ground their home. In 1937, Middlesex County Council approved a scheme submitted by Twickenham Borough Council to widen Rugby Road due to it being inadequate for traffic. In 1965, the South Terrace was closed due to structural failings. It was found to be cheaper to build a new stand as opposed to repairing the existing one; however, planning permission was refused, due to objection from local residents. 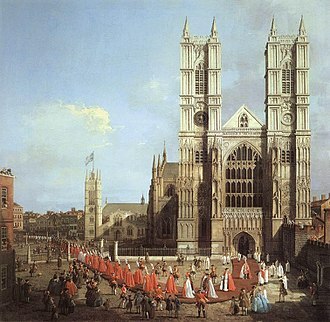 Permission was granted in 1978. A period of extensive rebuilding took place during the early 1980s which continued through to the mid-1990s. In 1981 the South Terrace was rebuilt as the South Stand. After being taken down in 1989, an extended North Stand was opened in 1990. After the 1992 Five Nations, the stadium saw the development of the new East Stand and following that the West Stand. In 1995, the stadium was completed to accommodate 75,000 people in an all-seater environment. The North, East and West stands were all built by Mowlem. Planning permission was sought in 2002 and received in December 2004 for a new South Stand to raise capacity to 82,000, together with a hotel and conference centre, with redevelopment commencing in June 2005. The RFU's revised application to build the new south stand at £80 million was unanimously approved by Richmond Council's planning committee on 2 December. As well as increasing the stadium's capacity to 82,000, the redevelopment introduced a four-star Marriott hotel with 156 rooms and six VIP suites with views over the field, a performing arts complex, a health and leisure club, open a new rugby shop and also increase the current function space. On Sunday 10 July 2005 the south stand was demolished to make way for the new development. 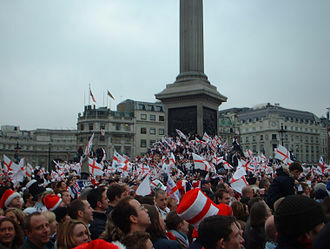 The festivities that were planned for the implosion of this end of the stadium were cancelled in the wake of the 7 July terror attacks in the centre of London. The new seating, which had been started by Mowlem, was completed by Carillion on 5 November 2006 in time for the England vs New Zealand game of the 2006 Autumn internationals series, in which England lost in a near-record defeat. Twickenham Stadium has hosted Rugby World Cup Matches in 1991, 1999 and 2015 with England as hosts in 1991 and 2015 therefore holding the Final. The Stadium also hosted semi finals in 1999 including France's 43–31 victory over favourites New Zealand, regarded by many as the best Rugby match of all time. An Iron Maiden concert in 2008. Though Twickenham usually only hosts rugby union fixtures, it has in the past been the venue for a number of other events. 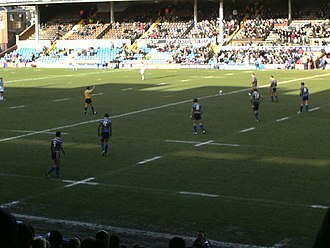 In 2000, the ground hosted its first game of rugby league, in which Australia defeated England in the opening game of the 2000 Rugby League World Cup. The Rugby League Challenge Cup Final has also been played at Twickenham twice, in 2001 and 2006, and was won by St. Helens on both occasions. Due to the construction delays of Wembley, a number of scheduled events at Wembley were moved to Twickenham. The Challenge Cup and the Rolling Stones' A Bigger Bang Tour concerts were taken to Twickenham. The Stones also played two shows at Twickenham in August and September 2003, the first of which was used as their stadium concert disc for the 2003 DVD Four Flicks. 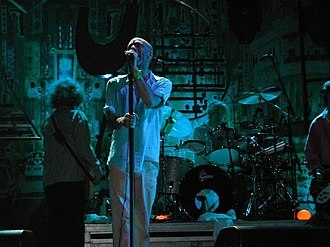 During 2007 Genesis played at Twickenham during their reunion tour. The Police played at the stadium in September 2007 and Rod Stewart in June. The usual capacity for concerts is anything up to 80,000, as opposed to the 82,000 for rugby. R.E.M. performed at Twickenham in August 2008, while New Jersey rockers Bon Jovi played two gigs at the stadium in June 2008 as part of their Lost Highway Tour, and Iron Maiden played there as part of their Somewhere Back in Time World Tour on 5 July 2008, along with a full supporting bill which included Avenged Sevenfold, Within Temptation and Lauren Harris. Since the mid-1950s it has also hosted the Jehovah's Witnesses annual convention for the London area. Usually up to 25,000 attend to hear Bible talks. The TV motoring show Top Gear used the pitch for a match of rugby, played using Kia cars. Lady Gaga performed two sold out shows at the stadium during her Born This Way Ball Tour on the 8th and 9 September 2012 with 101,250 people attending for both shows. The first date broke a record for The Fastest Selling-out Stadium Show in UK history when the 50,625 tickets for the first show sold out in 50 seconds. Rihanna performed two shows at the stadium during her Diamonds World Tour on 15 and 16 June 2013 for 95,971 people for both nights. 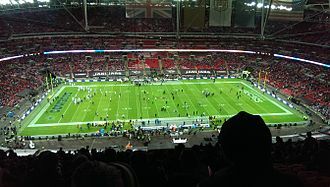 On 3 November 2015 it was announced that the RFU and America's National Football League had agreed a three-year deal to host at least three NFL London Games. The deal began in October 2016 and gave the opportunity to host an additional two games over the three-year period of the deal. On 23 October 2016 the Los Angeles Rams hosted the New York Giants at Twickenham Stadium. This was the second of three London Games in 2016, with the others being played at Wembley. The game was televised nationally live in the UK on BBC Two. The final two games of the agreement were played in 2017, with matchups announced on 13 December, 2016. The World Rugby Union Museum is a museum located in Twickenham Stadium. The museum covers the whole of the global game, not just English rugby union. It tells the history of the sport, including William Webb Ellis and Richard Lindon, using interactive display techniques. The museum has a rolling programme of special exhibitions which cover topical issues and offer an opportunity to display some of the obscurer items in the collection. Some unique displays include an English rugby union jersey from the first ever rugby union international in 1871 between England and Scotland, and (until 2005) the William Webb Ellis Cup which was obtained by England at the 2003 Rugby World Cup. Twickenham Stadium Tours are also available through the Museum and run four times per day (Tuesday to Saturday) and twice on Sundays. It is usually open every day of the week except for Mondays. Except match days when for ticket holders only a special price entry to the museum is available. ^ "The Rugby ground : The Twickenham Museum". twickenham-museum.org.uk. Archived from the original on 22 June 2011. Retrieved 15 April 2010. ^ "Twickenham Stadium". Rugby Football Union. Retrieved 7 January 2014. ^ "Cail, William". 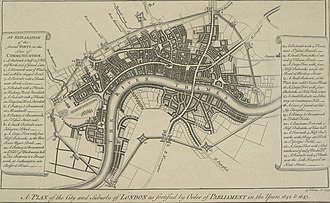 20thcenturylondon.org.uk. Retrieved 10 December 2011. ^ "TELEVISION – Monday, March 14 to Saturday, March 19" (PDF). Radio Times. 11 March 1938. Retrieved 21 February 2016. ^ "The story behind "Swing Low Sweet Chariot" and how it became a rugby anthem". everyhit.com. Retrieved 8 October 2007. ^ "1991: Wallabies pip England". BBC. 24 September 2003. Retrieved 19 August 2006. ^ a b "Steel conversion for Twickenham". New Steel Construction. 1 September 2006. Retrieved 20 January 2018. ^ "Stadium delay hits Wembley gigs". BBC. 31 March 2006. Retrieved 24 September 2006. ^ "RFU apply for two additional concerts at Twickenham Stadium in 2007". The Twickenham Rugby Stadium. Archived from the original on 25 June 2008. Retrieved 21 March 2007. ^ "Six Nations 2013: Top Gear team play car rugby". BBC Sport. BBC. Retrieved 18 February 2013. 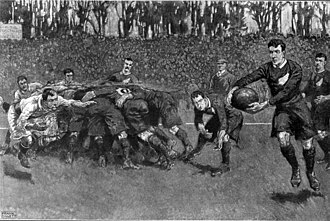 ^ "NFL action at Twickenham". England Rugby. Rugby Football Union. Retrieved 3 November 2015. ^ "NFL Announces 2016 International Series Games in London". NFL UK. National Football League. Retrieved 25 November 2015. ^ "2017 London games: NFL announces which teams will be playing". nfl.com. NFL. Retrieved 13 December 2016. ^ "New York Giants vs Los Angeles Rams 10/23/16". NFL. National Football League. Retrieved 16 April 2016. ^ Doyle, Tom (22 October 2017). "NFL London 2017: Los Angeles Rams crush Arizona Cardinals 33-0". Evening Standard. Retrieved 22 October 2017. Wikimedia Commons has media related to Twickenham Stadium. 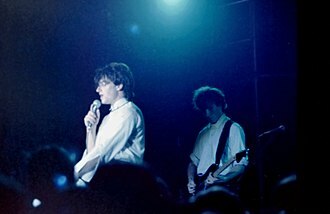 R. E. M. was an American rock band from Athens, that was formed in 1980 by drummer Bill Berry, lead guitarist Peter Buck, bassist/backing vocalist Mike Mills, and lead vocalist Michael Stipe. Released its first single—Radio Free Europe—in 1981 on the independent record label Hib-Tone, the single was followed by the Chronic Town EP in 1982, the bands first release on I. R. S. Following years of success, R. E. M. Achieved a mainstream hit in 1987 with the single The One I Love, the group signed to Warner Bros. Records in 1988, and began to espouse political and environmental concerns while playing large arenas worldwide. By the early 1990s, when alternative rock began to experience mainstream success, R. E. M. was viewed by subsequent acts such as Nirvana. The band released its two most commercially successful albums, Out of Time and Automatic for the People, which veered from the established sound. R. E. M. s 1994 release, was a return to a more rock-oriented sound, the band began its first tour in six years to support the album, the tour was marred by medical emergencies suffered by three of the band members. Re-signed with Warner Bros. for a reported US$80 million, at the time the most expensive recording contract in history and its 1996 release, New Adventures in Hi-Fi, though critically acclaimed, fared worse commercially than expected. The following year, Bill Berry left the band, while Stipe, Buck, in 2007, the band was inducted into the Rock and Roll Hall of Fame, in their first year of eligibility. Disbanded amicably in September 2011, announcing the split on its website, in January 1980, Michael Stipe met Peter Buck in Wuxtry Records, the Athens record store where Buck worked. The pair discovered that they shared similar tastes in music, particularly in rock and protopunk artists like Patti Smith, Television. Stipe said, It turns out that I was buying all the records that was saving for himself and Buck soon met fellow University of Georgia students Mike Mills and Bill Berry, who had played music together since high school and lived together in Georgia. The quartet agreed to collaborate on songs, Stipe commented that there was never any grand plan behind any of it. Twickenham Stoop Stadium is a sports stadium located in south-west London, England. The stadium is home to Harlequins rugby union team, who play in the Aviva Premiership, the stadium has a capacity of 14,800 and is situated just across the road from Twickenham Stadium. In 1906, Harlequins were invited by the Rugby Football Union to use the new stadium in Twickenham. In those early days, only one or two internationals were played there during the season, and it wasnt long before the RFU ground became the headquarters of the Harlequin Football Club. In 1963, the Quins acquired a ground with 14 acres just across the road from the RFU ground. The main stand is the IG Stand and this stand has the changing rooms, a row of executive boxes across the top of the stand, a Members Bar, the clubs offices, toilets and a club shop. At the top of the stand under the roof there is a scoreboard, the stand was built for the start of the 2005–06 season and has a capacity of approximately 4,000. The North Stand is a structure with an estimated life of 10 years. It houses approximately 2,000 and is the stand with supporting pillars. There is a clock to the top left of the stand. If further expansion is going to happen the speculation is that the North Stand would be the one to be redeveloped, there is a concern about Langhorn Drive which runs directly behind it and if it needs to be moved before expansion could take place. The corner of the North and IG Stand has a memorial for Nick Duncombe who was a scrum half for Harlequins. He played for the England Sevens team in the 2002 Commonwealth Games and he died of meningitis in 2003. The DHL Stand has a capacity of approximately 4,000 and has a row of corporate boxes across the top, a score board hangs under the roof. The main public bar has a stage where a band performs after the match. The South Stand has most recently developed and was opened in the 2010–11 season. It has new toilets, a real ale bar, the Quins Head, which sells Green King IPA and guest ales, the back of the stand has a clock for the match. The National Sports Centre at Crystal Palace in south London, England is a large sports centre and athletics stadium. The sports centre building was designed by the LCC Architects Department under Sir Leslie Martin between 1953–54 and is a Grade II* listed building, the athletics stadium has a capacity of 15,500, which can be increased to 24,000 with temporary seating. The current 15,500 seater athletics stadium was built on the site of the ground by M J Gleeson. From 1999 to 2012 it hosted the London Grand Prix, the stadium can be expanded to 24,000 with temporary seating if required. With the opening of the London Olympic Stadium in 2012, its future as a stadium hosting athletics events is in doubt. Crystal Palace F. C. has submitted plans to rebuild the stadium as a 40,000 seater football stadium without a running track, but with a new indoor aquatic and sports centre as part of the complex. The current athletics stadium is on the land as a previous football ground. In 1905, the owners wanted their own club to play at the venue. They were forced to leave by the military, in 1915, the largest domestic attendance ever at the stadium was in the 1913 Cup final between Aston Villa and Sunderland, when 121,919 spectators squeezed into the stands. 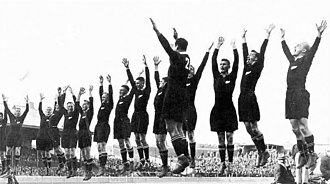 The previous world record had been the 1901 Cup Final, when 114,815 amassed to watch Tottenham Hotspur, Tottenham Hotspur F. C. However, Spurs plans were cancelled due to their failure to obtain the Olympic Stadium. AC London used the stadium during the 2015–16 season, four more teams won the FA Cup during this time, after replays at other grounds. All but two of the finalists from that era a century ago are still playing in either the Premier League or the Football League Championship, the exceptions being Bradford City, and Bury. Newcastle United appeared in the most finals at the ground, results of finals at Crystal Palace FA Cup Wins at Crystal Palace Crystal Palace FA Cup Final appearances Goals Scored in FA Cup Finals at Crystal Palace Goals Conceded in F. A. Cup Finals at Crystal Palace On 2 December 1905, the ground held the first England Rugby Union international match against New Zealand in England. Wembley Stadium is a football stadium in Wembley, England, which opened in 2007, on the site of the original Wembley Stadium, which was demolished from 2002–2003. The stadium hosts football matches including home matches of the England national football team. The stadium will be the home of Premier League football club Tottenham Hotspur while White Hart Lane is being demolished. 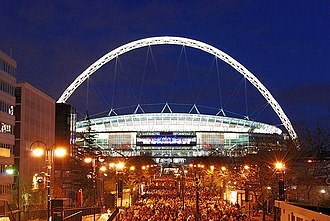 Wembley Stadium is owned by the body of English football. 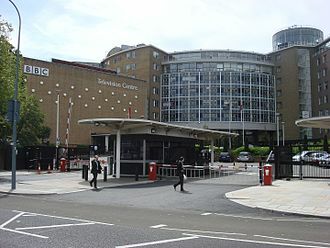 The FA headquarters are based in the stadium, with 90,000 seats, it is the largest football stadium in England, the largest stadium in the UK and the second-largest stadium in Europe. Designed by Populous and Foster and Partners, it includes a retractable roof. The stadium was built by Australian firm Multiplex at a cost of £798 million, a UEFA category four stadium, Wembley hosted the 2011 and 2013 UEFA Champions League Finals, and will host both the semi-finals and final of UEFA Euro 2020. The stadium hosted the Gold medal matches at the 2012 Olympic Games football tournament, the stadium hosts rugby leagues Challenge Cup final, the NFL International Series and music concerts. The design of the services was carried out by Mott MacDonald. It is one of the most expensive ever built at a cost of £798 million. The all-seater stadium is a design with a capacity of 90,000. It can be adapted as a stadium by erecting a temporary platform over the lowest tier of seating. The stadiums signature feature is a circular section lattice arch of 7 m internal diameter with a 315 m span, erected some 22° off true and it supports all the weight of the north roof and 60% of the weight of the retractable roof on the southern side. The archway is the worlds longest unsupported roof structure, a platform system has been designed to convert the stadium for athletics use, but its use would decrease the stadiums capacity to approximately 60,000. No athletics events have taken place at the stadium, and none are scheduled, the conversion for athletics use was a condition of part of the lottery funding the stadium received, but to convert it would take weeks of work and cost millions of pounds. Since the 2007 season, the National Football League has hosted regular season American football games outside of the United States every year in a series known as the NFL International Series. Initially, all of the games in the International Series were held in London, the American Bowls ended in 2005, while NFL Europa folded in 2007. 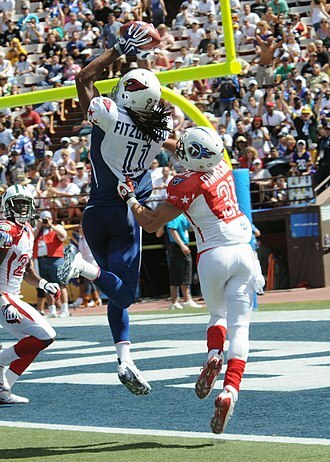 On October 2,2005, the Arizona Cardinals defeated the San Francisco 49ers by a score of 31–14 at Estadio Azteca in Mexico City and it was the first regular season NFL game held outside of the United States. The game drew the NFLs highest game attendance at the time with 103,467 spectators, Roger Goodell, the commissioner of the National Football League, has considered expanding the leagues appeal overseas ever since the end of NFL Europa. 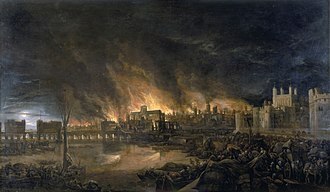 Goodell has openly discussed the idea of holding a future Super Bowl game in London, the NFL investigated the possibility of adding a 17th regular season game to all teams, taking the place of the fourth pre-season game. Waller notes that there not be 16 different venues for the 17th games. More likely would be a ticket of perhaps four games in one city or country. League officials were pondering moving an existing game abroad for the 2010 season. The league eventually abandoned their desire to expand the NFL season in the CBA negotiations, games in the United Kingdom are broadcast by the BBC and Sky Sports either live on BBC2 or online via the BBC Sports website and interactive TV and on Sky Sports 3. On radio, the games are broadcast by BBC Radio 5 Live Sports Extra, the games have been popular, with tickets for the two games per season selling out in two days, nine months in advance. According to the NFL, only 3% of those attending the London games are Americans or American expatriates, while 22% are from London, ticket prices are from £35 for end zone seats to £100 for lower sideline seats. A team that plays a game in London sells a cheaper season ticket package for its own stadium with seven regular season games rather than the usual eight. 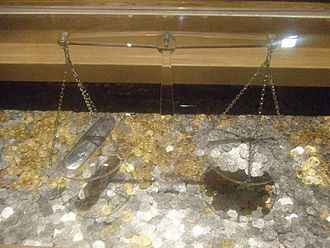 Each designated home team receives US$1 million for giving up the home game, on October 11,2011, the NFL owners approved playing NFL games in Great Britain through the year 2016. The Eagles are an American rock band formed in Los Angeles in 1971 by Glenn Frey, Don Henley, Bernie Leadon, and Randy Meisner. With five number-one singles, six Grammy Awards, five American Music Awards, and six number one albums, the Eagles were one of the most successful musical acts of the 1970s. Hotel California is ranked 37th in Rolling Stones list of The 500 Greatest Albums of All Time and their Greatest Hits was the best selling album of the 20th century in the U. S. They are the music act and the highest-selling American band in U. S. history. The band released their album, Eagles, in 1972. 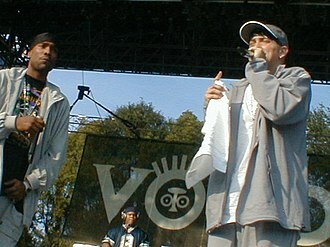 Their next album, was successful than the first, only reaching number 41 on the charts. However, the album does contain what would go on to be two of the bands most popular tracks and Tequila Sunrise, the band released On the Border in 1974, adding guitarist Don Felder as the fifth member midway through the recording of the album. The album generated two top 40 singles, Already Gone and their first number one, Best of My Love. Their 1975 album One of These Nights included three top 10 singles, One of These Nights, Lyin Eyes, and Take It to the Limit and vocalist, Joe Walsh, joined the band in 1975. The album yielded two singles, New Kid in Town and Hotel California. 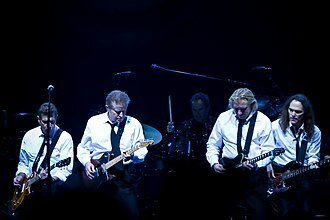 The Eagles disbanded in July 1980 but reunited in 1994 for the album Hell Freezes Over and they toured consistently and were inducted into the Rock and Roll Hall of Fame in 1998. In 2007, the Eagles released Long Road Out of Eden, their first full album in 28 years. The next year launched the Long Road Out of Eden Tour in support of the album. In 2013, they began the extended History of the Eagles Tour in conjunction with the bands documentary release, following the death of Frey in January 2016, Henley stated in several interviews that he didnt think the band would perform again. However, in March 2017 it was announced that the Eagles would be headlining two concerts in July 2017, the Eagles began in early 1971, when Linda Ronstadt and then-manager John Boylan recruited local musicians Glenn Frey and Don Henley for her band. 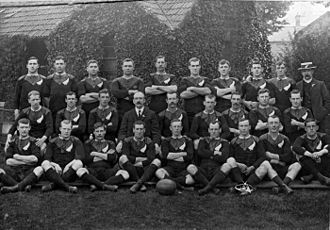 The Cambridge University Rugby Union Football Club, sometimes abbreviated CURUFC, is the rugby union club of the University of Cambridge. The team plays Oxford University RFC in the annual Varsity Match at Twickenham Stadium every December, Cambridge players wear light blue and white hooped jerseys with a red lion crest. Many have gone on to represent their country and the British and Irish Lions, whilst at Cambridge University James Bevan became the first captain of the Wales national rugby union team. 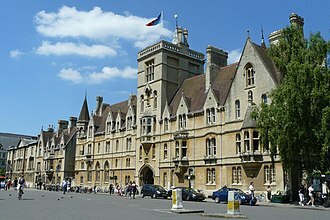 Football is believed to have introduced to Cambridge University in 1839 by Trinity College fresher Albert Pell. Pell had matriculated at Cambridge after going up from Rugby School, Cambridge University Rugby Union Football Club was officially established in 1872, around three years after the Oxford rugby club was founded. 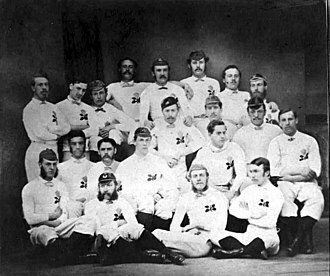 The first Varsity match was contested between the two teams on 10 February 1872, the Cambridge team was led out by captain Isaac Cowley Lambert, wearing pink jerseys with a monogram on the left breast. Iron Maiden are a British heavy metal band formed in Leyton, East London, in 1975 by bassist and primary songwriter Steve Harris. The bands discography has grown to thirty-eight albums, including sixteen studio albums, eleven albums, four EPs. Pioneers of the new wave of British heavy metal, Iron Maiden achieved initial success during the early 1980s,1 in 28 countries and receiving widespread critical acclaim. Their sixteenth studio album, The Book of Souls, was released on 4 September 2015 to similar success, the band won the Ivor Novello Award for international achievement in 2002. As of October 2013, the band have played over 2000 live shows throughout their career. For the past 35 years, the band have been supported by their famous mascot, Iron Maiden were formed on Christmas Day in 1975 by bassist Steve Harris shortly after he left his previous group, Smiler. Harris attributes the name to a film adaptation of The Man in the Iron Mask from the novel by Alexandre Dumas. 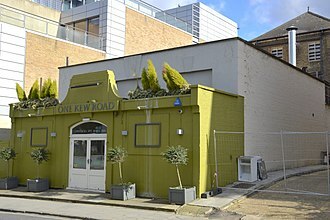 After months of rehearsal, Iron Maiden made their debut at St.
Nicks Hall in Poplar on 1 May 1976, before taking up a semi-residency at the Cart and Horses Pub in Maryland Point, Stratford. 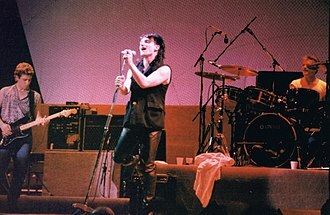 The original line-up did not last very long, with vocalist Paul Day being the first casualty as, according to Harris and he was replaced by Dennis Wilcock, a Kiss fan who used make-up and fake blood during live performances. Wilcocks friend Dave Murray was invited to join, to the dismay of the bands guitarists Dave Sullivan and their frustration led Harris to temporarily disband Iron Maiden in 1976, though the group reformed soon after with Murray as the sole guitarist. Steve Harris and Dave Murray remain the bands longest-standing members and have performed on all of their releases, Iron Maiden recruited yet another guitarist in 1977, Bob Sawyer, who was sacked for embarrassing the band on stage by pretending to play guitar with his teeth. 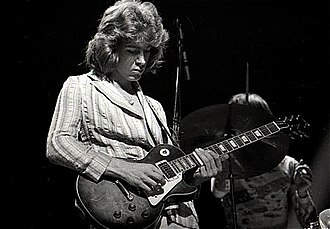 Tension ensued again, causing a rift between Murray and Wilcock, who convinced Harris to fire Murray, as well as original drummer Ron Matthews. Dave Murray and Steve Harris in 2008. 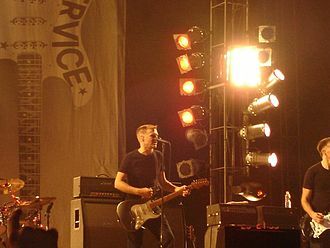 Harris and Murray are the only members to have performed on all of the band's albums. Adams live in the Line Arena, Hamburg, Germany, on 3 June 2007. The group formed at Charterhouse School in Godalming, Surrey. Rutherford, Gabriel, and Collins in 1974 during The Lamb... tour. Gabriel is wearing the "Slipperman" costume. The band's remodelled studio in Chiddingfold, Surrey known as The Farm. 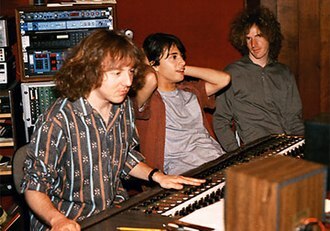 Abacab was the first album recorded there. 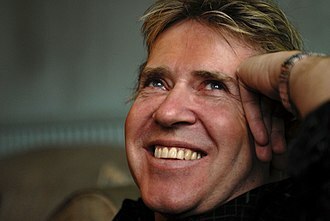 Steve Lillywhite produced the band's first three studio albums: Boy, October, and War. Beyoncé performing "Listen" from the motion picture Dreamgirls during The Beyoncé Experience tour. She received a Golden Globe nomination for her performance as Deena Jones in the film. Beyoncé performing "Single Ladies (Put a Ring on It)" during the I Am... World Tour. The song reached number one on the Billboard Hot 100, earned the Grammy Award for Song of the Year and spawned the Internet's first major dance craze. Beyoncé performing during The Mrs. Carter Show World Tour in 2013. The tour is one of the highest grossing tours of the decade. 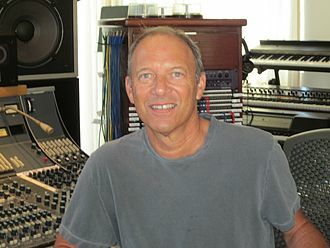 Scott Litt produced a number of R.E.M. 's albums from the late 1980s to the early to mid-1990s. Jehovah's Witness prisoners were identified by purple triangle badges in Nazi concentration camps. 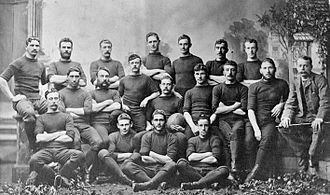 The Original All Blacks that toured the British Isles, France and the United States during 1905–06. 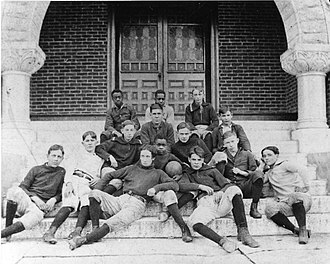 The team won 34 of their 35 tour matches. A Harlequin F.C. team pre World War I.
Harlequins celebrating a try during the 2005–06 season. Harlequins in a huddle during the 2008–09 season. Bon Jovi during the iHeartRadio Music Awards show, 2018. 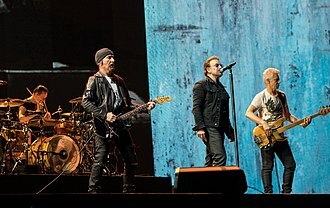 From left to right: Hugh McDonald, Tico Torres, Jon Bon Jovi, David Bryan and Phil X.
Andy Summers (far right), Sting (front), Stewart Copeland (drums). 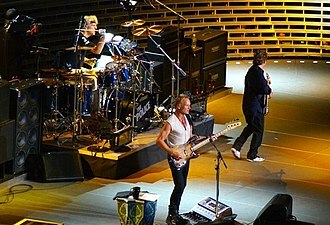 The Police performing at Madison Square Garden, New York City on 1 August 2007. Byron Kelleher and Michael Claassens. 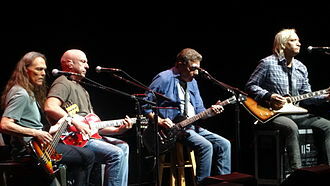 History of the Eagles tour, 2014, from left to right: Schmit, Leadon, Frey, and Walsh (Henley on drums not pictured).